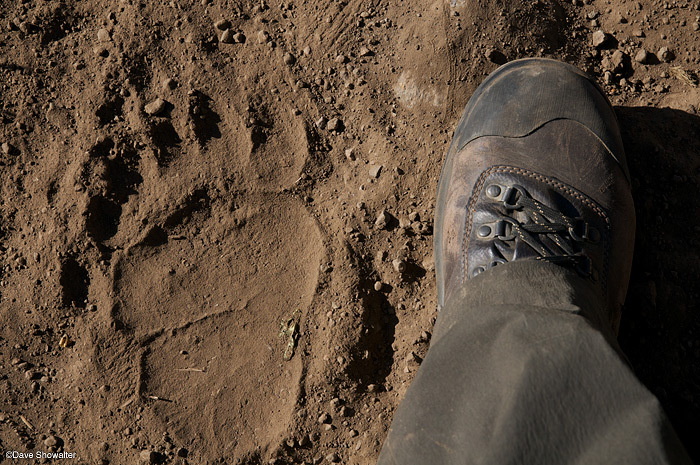 My size 11 boot adds scale to a large rear grizzly bear track on the Pahaska Trail, near Yellowstone's eastern border. The Shoshone National Forest provides crucial habitat for Greater Yellowstone grizzlies. Photo © copyright by Dave Showalter.